My internet is back up! Hooray! My phone still has a cracked screen...but I got some of the apps to work again. I'm trying to hold out until my next upgrade, wish me luck. But since my tech-y woes are not the reason you're reading this, let's get on to the good stuff! For my Frugal Round-up this week I have some wonderfully rustic pretties to share! 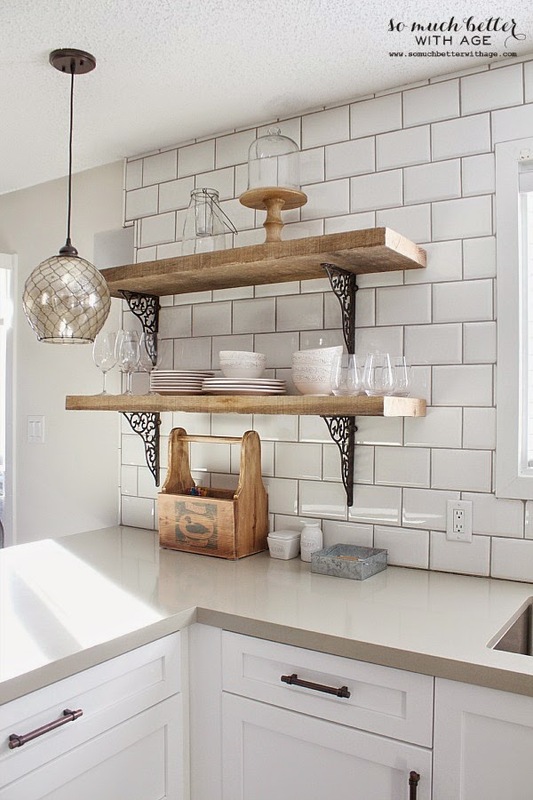 First up, I love the pretty rustic kitchen shelves shared by So Much Better With Age. They offer the perfect contrast to the clean and sleek white subway back splash in her lovely kitchen. 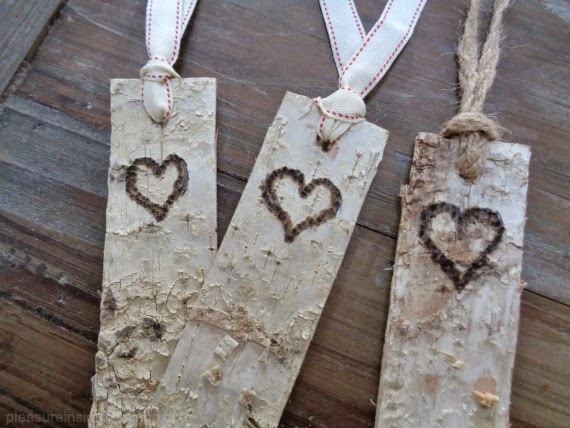 Next, the DIY birch bark bookmarks (Try saying that 3 times fast. My daughter and I couldn't do it!) are absolutely adorable. Check them out over at Pleasure In The Simple Things. Thank you for hosting Wendy! Have a lovely weekend! Thank you so much for hosting, Wendy! Thank you for the party Wendy!! Thank you so much for hosting such a great party. The birch bookmarks are so pretty, I'm going to check them out. Have a fabulous weekend.